Mental health problems are difficult to treat with medicine and therapy. There’s usually no cure, and mental health problems can present suddenly and without warning. People struggling with mental health disorders may need therapy for the rest of their lives, or they must rely on medication that may have little to no effect on their problems or that has uncomfortable side effects. It doesn’t help that suffering from a mental health disorder carries a stigma and can lead to isolation. Sufferers often cut themselves off from people, medical help, and reality. The difficulties of treating mental health issues are so concerning that medical professionals have adopted alternative therapies in an effort to help their patients. Animal-assisted therapy is an alternative form of mental health therapy where patients are given a companion animal to help them recover. Companion animals, also known as Psychiatric Service Animals, are pets that instill feelings of companionship, responsibility, and accountability in patients. Companions animals are technically not service animals. Service animals are specially prescribed by doctors and therapists to help patients with specific disabilities, diseases, disorders and mental problems. Companion animals decrease loneliness, paranoia, feelings of isolation, and help patients reconnect with people and the world. Their calming abilities allow for a mental clarity that can aid therapy and medication. Studies have shown that companion animals can also help drug addicts in recovery programs. Any breed of dog can act as a companion animal. Make sure that your home is suitable for a pet. Make sure the pet is size appropriate to serve the patient’s needs. Make sure the patient is prepared to clean, groom and take care of a pet. Substance abuse can make addicts selfish, manipulative and worried about their own needs. This behavior isolates them from society, people and much-needed help. And while addiction can be difficult to overcome, researchers believe that companion animals can help a lot in addiction recovery therapy programs. Studies show that petting or hugging a pet has great calming effects and can reduce aggression. Companion animals and the comfort they provide can be used as a coping mechanism during recovery and sobriety. 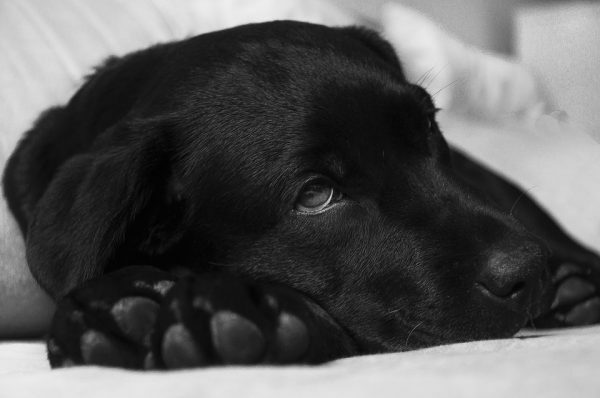 Caring for a dog can provide a model for responsibility and accountability. Dogs react to behavior shifts and mood change. They can act as a mirror for an addict to see what they’re doing to themselves. A companion animal, which needs constant care, inspires an addict to think of something besides their own needs and cravings. In addition to being an alternative therapy, a companion animal can become a lifelong friend. The moment a pet realizes he is yours and you are his, you become instant partners without hesitation. He will be by your side the moment you need him, and always give you the benefit of the doubt. A companion animal is not a cure-all. A person has to be motivated to get better and to care for the animal so it will care for them. If a patient accepts a companion animal as part of alternative therapy, they have a strong chance at increasing their chances of recovery.